If your child is eligible for special education or Section 504 accommodations, then the answer is “yes” if the assistive technology (AT) is necessary to achieve a “free and appropriate public education”. Individuals with Disabilities Education Act, (IDEA), states “The Individualized Education Program, (IEP), team shall consider whether the child requires assistive technology devices and services”. The Washington State regulation (WAC 392-172A-02015) similarly states “each school district shall ensure that assistive technology devices or assistive technology services or both are made available to a student eligible for special education if required as part of the student’s: (a) Special education; (b) Related services; or (c) Supplementary aids and services.” These are strong mandates to use in advocating for inclusion of assistive technology in your child’s IEP. What Kinds of Devices Do Schools Have to Provide? Both the State and Federal special education laws define assistive technology broadly to include a range of devices (from “off the shelf” to customize) and services. The inclusion of “services” is very important. Such services can include evaluation and training for both school staff and family members. Such training is often the key to successful use of the assistive technology. Some examples of AT could be: word processors, electronic communication devices, computers and printers, calculators, speech recognition software, print enlargement, text reading equipment, wheelchairs, electric scooters, etc. 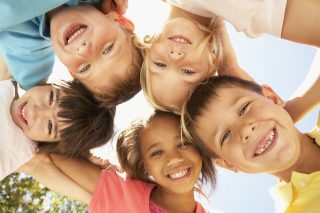 How Do I Know What Kind of AT My Child Needs? Get an evaluation from a competent professional. If your school district does not have a staff person knowledgeable about AT, ask for an independent evaluation from the Office of the Superintendent of Public Instruction at the Special Education Technical Center or from another experienced AT evaluator. There are many devices available. Be open-minded. There may be more than one appropriate solution for your child’s needs. The most expensive device may not be the best match for your child. Such devices could be complicated and frustrating for the child, resulting in a total turn-off from technology. Try different types with the child to determine which meets the child’s needs appropriately. The device can be brought home if it is necessary to achieve a free and appropriate education as for example, when the child needs the device at home for homework and/or additional and supplementary training. Does the School Have to Pay for Any Device – No Matter How Expensive? Not necessarily, the school is not required to buy the most expensive assistive technology if a more moderately priced device will work to achieve a free and appropriate education. The school’s obligation is to “provide” assistive technology from their own inventory or an outside source and it cannot ask you to contribute. If the device is paid for by the school district, the district maintains ownership of it. What Will Happen to the Child’s AT When the Child Graduates or Leaves the District for Another Reason? Because the district owns the equipment, the district keeps it unless you can convince the district to sell it to you, or the next program, at its depreciated value. Planning for your child’s transition to post-secondary education, training, or directly to work is also a critical part of the process. Deciding future AT needs prior to that transition is critical. To help ensure a successful transition after high school, planning must begin by at least 16 years of age. Assistive technology (AT) is redefining the possibilities of children and adults who have a wide range of cognitive and physical disabilities. In the home, the classroom, workplace, and the community, AT enables individuals with disabilities to be more independent, self-confident, productive, and more included into a variety of settings. Assistive technology includes thousands of commercially available or adapted solutions to improve an individual’s ability to learn, compete, work and interact with others. Adapted toys, computers, eating systems, powered mobility, augmentative communication devices, and special switches are a few of the AT devices. People that benefit from AT often search for the right combinations of devices to meet their needs, and increase their independence. Parents, individuals with disabilities, and professionals are finding that the challenge is not the availability of the devices. It is more about making the right link between the existing technology and the individual needs of the consumer. The Individuals with Disabilities Act 2004(IDEA), requires an Individualized Education Program (IEP) or an Individualized Family Service Plan (IFSP), for students who qualify for special education services. These plans can be powerful tools for helping parents, students, and educators to effectively include AT into the education programs for students with disabilities. This packet is intended to provide information about making AT a part of special education and related services. 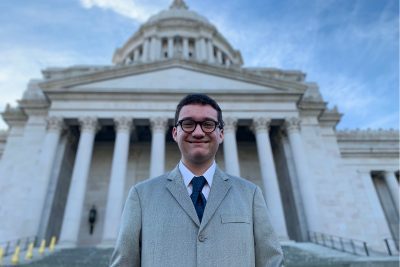 Individuals with Disability Education Act: The Individuals with Disabilities Education Act (IDEA) is the federal special education law, which guarantees free, appropriate public education for all children with disabilities. It has a clear mandate for assistive technology (AT) to be included, when needed, in Individualized Education Programs. Washington State Law, Washington Administrative Code (WAC) also has this mandate. WAC 392-172A-01025 Definition – Assistive Technology Device: The term “assistive technology device” means any item, piece of equipment, or product system – whether acquired commercially off the shelf, modified, or customized – that is used to increase, maintain, or improve the functional capabilities of a student eligible for special education. The term does not include a medical device that is surgically implanted, or the replacement of such device. 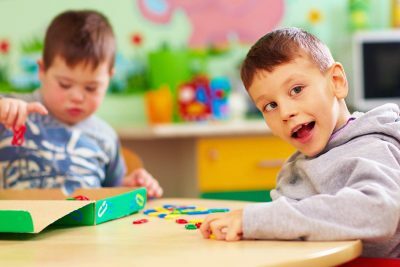 The evaluation of the needs of a special education student, including a functional evaluation of the student in the student’s customary environments. Purchasing, leasing, or otherwise providing for the acquisition of assistive technology devices by students eligible for special education. Training or technical assistance for professionals (including individuals providing education and rehabilitation services), employers, or other individuals, who provide services to, employ or are otherwise substantially involved in the major life functions of that student. 3) Supplementary aids and services. On a case-by-case basis, the use of school-purchased assistive technology devices in a student’s home or in other settings is required if the student’s IEP team determines that the student needs access to those devices in order to receive FAPE. Part C: Infant and Toddlers with Disabilities: IDEA includes assistive technology as one of the early intervention services that can be provided to infants and toddlers with disabilities under Part C of the Act. Section 504: Students who have disabilities, but do not qualify for special education, may still be eligible for accommodations under Section 504 of the Rehabilitation Act of 1973. Section 504 covers a broader range of disabilities than the special education law, also requires public schools to provide students with disabilities with a free appropriate public education and, ensures that students with disabilities are afforded an equal opportunity to participate in school programs. This means that schools may need to make special arrangements so the students with disabilities have access to the full range of programs and activities offered. Some students may need access to the curriculum, which can be provided by using a computer or an electronic communication device. Other students may need technology to provide physical access to the school facilities. For example, the schools must provide a student who needs a wheelchair lift on a school bus to get to school with this technology. Other modifications, which might be required under Section 504, include installing ramps into buildings and modifying bathrooms to provide access for individuals with physical disabilities. A.D.A. : The Americans with Disabilities Act, Amendments Act of 2008 signed into law September 25, 2008 also provides for accommodations. The ADA applies to employers, school districts and private entities. It clearly establishes time lines and minimum guidelines for removing barriers. Is regarded as having impairment. It is important to become familiar with these laws. They are the basis for ensuring that assistive technology is provided. Assistive technology must be considered along with the child’s other education needs. Needs for technology must be identified on an individual basis. Identification of technology must involve family members as part of a multi-disciplinary team. Parents or IEP team members can ask for additional evaluation or an independent evaluation to determine assistive technology needs. An evaluation should consider all aspects of the student’s needs, including mobility, fine-motor skills, communication, and alternatives to traditional learning approaches. Lack of availability of equipment or cost alone cannot be used as an excuse for denying an assistive technology service. If included in the IEP, assistive technology services and devices must be provided at no cost to the family. Parents always have the right to appeal if assistive technology services are denied. The following should provide you with a list and better understanding of some of the most frequently used technologies and their applications. What are some common types of AT provided in school programs? The following is a list of assistive technology applications commonly found in schools. Positioning: In the classroom, individuals with physical disabilities may need assistance with their positions for seating, so they can participate effectively in schoolwork. The student’s position in relation to peers and the teachers may be a consideration. Examples of equipment used for positioning are sidelying frames, walkers, crawling assists, floor sitters, chair inserts, wheelchairs, straps, trays, standing aids, bean bag chairs, sand bags and so forth. Access: In order to participate in school tasks, some students require special devices that provide access to computers or environmental controls. The first step in providing access is to determine which body parts can be used to indicate the student’s intentions. Controllable, anatomical sites for movements like eye blinks, head, neck, or mouth movements may be used to operate equipment, to access the computer. Once a controllable, anatomical site has been determined, then decisions can be made about input devices, selection techniques (direct, scanning), and acceleration strategies (coding, prediction). Input devices include such things as switches, expanded keyboards, mouse, trackball, touch window, speech recognition, head pointers, key guards, key latches, keyboard emulators (e.g. adaptive firmware card), and electronic communications devices. Once computer access has been established, it should be coordinated with other systems that the student is using, including powered mobility, communication or listening devices, and environmental system. Environmental Control: Independent use of equipment in the classroom can be achieved for students with physical disabilities through various types of environmental controls, including remote control switches and special adaptations of on/off switches to make them accessible (e.g. Velcro attachments, pointer sticks). Computer-Based Instruction: Equipment use can enhance independent participation in activities supporting the curriculum. Software can be selected which mirrors the concepts of classroom and learning activities. Software can provide the tools for written expression, spelling, calculation, reading, basic reasoning and higher level thinking skills. The computer can also be used to access a wide variety of databases. Augmentative Communication: Every individual needs to have some method of communication in order to interact with others to learn and for social contact. Students who are nonverbal or whose speech is not fluent or understandable enough to communicate effectively may benefit from using some type of communication device including such things as symbol systems, communication boards and wallets, electronic communication devices, lap tops, speech synthesizers, recorded speech devices, communication enhancement software, word processing, CAD (Computer Automated Design) programs, printers, telecommunications, and fax. Assistive Listening: Much of the time in school, students are expected to learn through listening. Students who have hearing impairments can be at distinct disadvantage unless they learn to use their residual hearing or they have alternative means for getting information. Hearing problems may be progressive, permanent, or intermittent. Any of these impairments significantly impact the learning to speak, read, and follow directions. Assistive devices to help with hearing problems include: hearing aids, personal FM units, sound fields FM systems, phonic ear, TDDs, closed caption TV, or mid-gain hardware systems. Visual Aids: Vision is a major learning mode. General methods for assisting with vision problems include increasing contrast, enlarging stimuli and making use of tactile and auditory models. Devices that assist with vision include screen readers, screen enlargers, magnifiers, large-type books, taped books, braillers, light boxes, high contrast materials, synthesizers, and scanners. Mobility: Individuals whose physical impairments limit their mobility may need any of a number of devices to help them get around in the school building and participate in student activities. Mobility devices include such things as self-propelled walkers, manual or powered wheelchairs, and powered recreational vehicles like bikes and scooters. Recreation, Leisure, and Play: Students with disabilities want to have fun and interact socially with their peers. Assistive technology can help them to participate in all sorts of recreational activities, which can be both interactive with friends as well as educational. Some adapted recreational activities include drawing software, computer games, computer simulations, painting with a head wand, interactive laser disks, and adapted puzzles. Self Care: In order to benefit from education, some students require assistance with self-care activities like feeding, dressing, and toileting. Assistive devices which assist with self care include such things as robotics, electric feeders, adapted utensils, specially designed toilet seats, and aids for tooth brushing, washing, dressing, and grooming. All of these elements, environments and applications are vital to an individual’s success and independence at school, home, and in the community. IDEA specifically mentions evaluation services as one of the assistive technology services. Assistive technology evaluations can be done by school personnel or, if the school district staff lack the expertise to do an assessment, evaluations can be done by experts with whom the district contracts for services. Evaluation services must be provided at no cost to the parents. What procedures should be used in determining whether assistive technology is needed for a particular student? Needs for assistive technology should be one of the considerations when a student is assessed to determine eligibility for special education. If an assessment reveals that a student is eligible for special education or accommodations under Section 504, then the multi-disciplinary team should consider assistive technology needs, when making its recommendations. The team should analyze what is required of non-disabled students of the same age and determine how many of these requirements could be completely or partially fulfilled if that student had access to appropriate assistive technology. In addition, when data is being collected about the child’s present levels of performance, part of that assessment should be a consideration of whether or not assistive technology is necessary for the student to achieve educational or social goals and benefits from education, or make reasonable progress in the least restrictive educational setting. Whoever is collecting the data, might experiment with assistive technology applications to determine if they have potential for alleviating problems or providing greater access for the student to educational opportunities. Are there certain prerequisite skills necessary before a student can make use of assistive technology? Mastery of certain prerequisite skills or typical developmental milestones is generally not necessary in order for the students to make use of assistive technology. For example, some educators assume that students cannot be allowed to use computers until they have completely mastered keyboarding skills. This is a false assumption. Many students benefit from using computers, even though they are able to operate the machine by using only one or two keys. In a similar fashion, students with limited verbal abilities, who have not mastered oral speech, benefit from using augmentative communication devices while they continue to attempt to develop oral language. When evaluating assistive technology needs, it is not necessary to determine whether or not the student has mastered a certain set of prerequisite skills. It is much more important to identify the skills the student needs and how technology can be used to enhance or support those skills in order to function in the school environment. Who needs to be on the assistive technology evaluation team? Evaluations for AT must be multi-disciplinary, involving educators and therapists who are knowledgeable about the school curriculum and the student’s strengths and needs. For example, for a student with cerebral palsy, the AT evaluation might involve a teacher, a physical therapist, a speech and language clinician, and an occupational therapist. The therapists would assist the teacher in determining what skills the student needed to learn and how technology might assist the student in acquiring those skills. 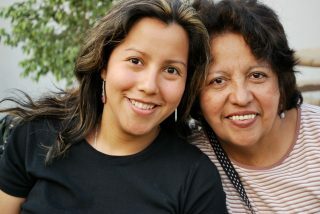 Parents and family members are vital members of the assessment team. They can help to identify problems and share solutions that family members have found to be helpful in the home and in community settings. Parents have a great amount of valuable knowledge to share with professionals. The professional who does not seek insight from this information is not doing the best job possible. The parent who does not share this information is underestimating its importance to selecting appropriate assistive technology devices. Parents are natural sources of information. Their knowledge can be important to facilitating common interpretation, becoming familiar with individual differences, avoiding behavior problems due to misinterpretation, and identifying areas for further instruction. What are some other contributions you can make regarding development of your child’s assistive technology needs? Network of technology using special educators. Communication opportunities are directly related to the environments and activities in which a student participates and the people with whom a student interacts. Some activities and environments require or support communication more than others. Family members and familiar teachers may learn to anticipate student needs to the extent that few communication opportunities are provided, or may learn to “read” the student’s subtle gestural expression so well that more obvious and formalized communication means are unnecessary. However, when the student interacts with people who are less familiar and less able to interpret unique gestures, communication breakdowns may occur. It is important to identify and remediate these barriers. The following questions provide some general areas to consider. The first set of questions is related to a number of attitudinal and environmental barriers that can negatively impact communication effectiveness. Limited access to communication partners? Attitudes about students with disabilities? Unduly restrictive rules in the communication environment in question? Restricted physical access to the general education environment? A second set of questions is related to opportunity barriers that may arise from a number of knowledge barriers to communication. A lack of information or misconceptions about appropriate opportunities? A lack of information or misconceptions about the nature of communication? A lack of information or awareness about the student’s communicative behavior on the part of the communicating partner? A failure to offer interacting strategies that promote communication? In order for a communication assessment to be successful, it is critical that a team of individuals, including a parent, teacher, speech/language pathologist, occupational therapist, and physical therapist, be involved throughout the process. In addition, input from the student, his/her friends, and current or future employer(s), is also essential. One of the initial assessment steps involves determining the student’s current status related to mobility and positioning, manipulation (fine motor) skills, sensory/perceptual skills, communication, and cognitive/language skills. A summary of the critical assessment questions that should be addressed in each of the five areas is summarized in the following sections. If the student is ambulatory, what restrictions (if any), exist that might limit the type of communication system recommended? If the student is not ambulatory, what is the current method of mobility? How well can the student use his/her hands? If the student does not have efficient use of the hands/arms, can he/she use a head stick or mouth stick or light pointer? How well can the student use eye gaze? Can the student activate a switch accurately and efficiently with any body part? How well does the student see? How well does the student hear? How does the student currently communicate? What does the student currently communicate about? Who are the student’s current and potential communication partners? How motivated is the student to communicate? What is the student ‘s receptive language ability at the present time? What are the results of formalized testing procedures designed to measure cognitive ability? What is the student’s representational ability at the present time? What are the student’s abilities related to literacy? How well does the student seem to understand cause and effect relationships related to objects and/or people? Does the student remember that objects or pictures exist even when they are not immediately visible? Excerpted from Mirenda, P., & Smith-Lewis, M. (in press). Communication Skill. In A. Ford, R. Schnorr, L.Meyer, L.Davern., J. Black, and P. Dempsey (Eds. ), The Syracuse community-referenced curriculum guide for students with moderate and severe disabilities.Baltimore: Paul H. Brookes. In addition, consider the student’s abilities and strengths that can be used, or further developed, for using AT. The present level of performance section of the IEP should provide clear indication of the areas of learning, which could be enhanced or supported though the use of assistive technology. In the goals, objectives, and services outlined in the IEP, assistive technology may appear at several points as an avenue for helping students to succeed in the classroom and in social settings. Under what circumstances should assistive technology be included in special education programs? *To implement the goals and objectives in the student’s IEP. How can assistive technology (AT) be included in the IEP? AT can be included in the IEP in a number of ways. It may appear as part of the student’s annual goals or short-term objectives. It may also appear in a list of specific accommodations, which need to be made in order for the student to function in the least restrictive environment. For example, the IEP might include such accommodations as the use of word processing, calculators, hand held spelling checker, and so forth. 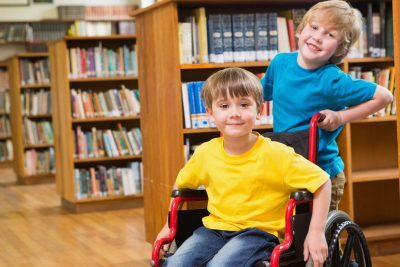 In addition, the IEP may specify that as a related service, the student will receive training in the use of assistive devices like an electronic communication device, a power wheelchair, or a personal computer. Where should assistive technology appear in the IEP? In the list of related services necessary for the student to benefit from his or her education. How can AT be part of academic, social, or other types or goals in the IEP? AT can be a part of the annual goals and short-term objectives on an IEP, if the goal is specific enough for the role of AT to be clear. An annual goal for the IEP should be based on present levels and build skills from that level. It then should express an estimate of what the student can accomplish in a particular domain during the course of one year, under what conditions the skill is to be developed, and what criteria will be used to indicate whether or not the skill has been learned. Using a word processing program with spelling checker, Shawn will compose three paragraph themes composed of fifteen or more sentences with 80% or better accuracy in the use of spelling, punctuation, and grammar over 5 or more consecutive trials. Objectives leading to this goal might include preliminary exploration of the word processing program; trials to learn effective use of the spelling checker; drill and practice in writing single paragraphs to the 80% level of accuracy in spelling, punctuation and grammar; increasing the length of writing to two paragraphs; and then eventually moving to three paragraphs with gradually increasing degrees of accuracy. Using a computer keyboard, Rachel will type 12 words per minute with no errors over 10 or more consecutive trials. In this case, Rachel would spend a year learning keyboarding skills with the goal of achieving at least 12 words per minute with complete accuracy. For a young student who experiences some fine motor difficulties, this goal would be challenging, but it might involve preliminary exploration of the keyboard, gradual introduction of the letters and the numbers on the keyboard, practice to build speed and accuracy, and eventually timed trials until 10 consecutive trials could be achieved with no errors at a rate of 12 words per minute or better. Still another type of annual goal might address a social issue like communication with peers. Using an electronic communication device, Sara will respond appropriately to social inquiries from classmates 5 times out of 5 opportunities over 10 consecutive days. Objectives leading to this goal might include training in the use of particular words and phrases on the communication device, drill and practice in responding with the device in structured settings, increasing accuracy in responding in structured settings, practice in unstructured conversational opportunities, and gradual achievement of accuracy in unstructured conversational setting with peers. How can AT support placement in the least restrictive environment? Students with disabilities are guaranteed the right to placement in the educational setting which is the least restrictive environment. In order to be successful in the least restrictive environment, students are to receive whatever supplementary aids and services are necessary. The supplementary aids, which may allow a student to remain in a less restrictive environment, may involve a variety of educational and social tasks. AT is necessary as a supplementary aid if its presence (along with other necessary aids) supports the student sufficiently to maintain the placement, and its absence requires the student’s removal to a more restrictive setting. For example, if a student with multiple disabilities can make independent, educational progress on the IEP goals in the regular classroom with assistive technology and if that same student cannot make such progress in that setting without the devices, then those devices are necessary supplementary aids. Under what circumstance may AT be considered a related service? AT can be related service just like audiology, physical therapy, or speech, if it is necessary for the student to benefit from his or her educational process and he/she is going to have to be trained in its use. Training can occur as a related service, which supports the student’s educational program. Preparation for the use of AT can also be worked into other related services like occupational therapy. OT may involve determining correct positioning to take advantage of AT and exercises to prepare the student to use a computer keyboard or a communication board. Should school districts allow students to take assistive devices home on school nights to do homework, over weekends, during school vacations, or over the summer? Students certainly may take assistive devices home on school nights or at other times. Nothing prevents this practice, and, in many cases, it is highly desirable for students to have the opportunity to use the same AT devices both at home and in school. For example, when a student is completing homework assignments, AT may be necessary to produce the type of product that is required. Recently, the Office of Special Education programs, OSEP, issued a policy letter which clarifies that if the IEP team determines that a particular AT item is required for home use in order for a particular child to be provided a free, appropriate, public education (FAPE), the technology must be provided to implement the IEP. The ability to take technology home is tied to the IEP. WHO PAYS FOR ASSITIVE TECHNOLOGY? The party, who is responsible for paying for AT, depends upon the circumstances under which the technology is purchased. Under the special education law, students with disabilities who are eligible for special education are entitled to a free appropriate public education. Parents do not have to pay for school services, including AT, if that service is part of the student’s IEP. If parents choose to do so, they may agree to use their Medicaid or private insurance to pay for a device that is used at school. Under what circumstances does private health insurance pay for AT? Some private health insurance policies will pay part of the cost for some AT devices. The devices are unlikely to be listed specifically in the policy, but may be included under some generic term like “therapeutic aids.” Usually the devices have to be prescribed by a physician in order to be covered by the policy. Whether or not parents choose to use their private health insurance to pay for devices used at school is a matter for parents to decide. They will want to make sure this does not affect their lifetime benefits. When does Medicaid cover assistive technology? Medicaid (Title XIX) will pay for “medically related” AT evaluations and services prescribed by a physician or other licensed person. Each state evaluation has some flexibility in determining which services it will include in its list of Medicaid covered expenses. Devices that are frequently covered by Medicaid are canes, crutches, walker, manual wheelchairs, hospital beds, and hearing aids or eyeglasses for children and youth. In addition, Medicaid does sometimes cover environmental control systems and augmentative communication devices as well as the speech therapy necessary for learning to use an augmentative communication device. Who owns the special equipment that is purchased for students? If the school district purchases the equipment, it belongs to the district. Some school districts designate that a particular device is to be used by a specific student during the time when that device remains appropriate for that student. Other districts have “pools” of assistive devices and distribute them for a variety of students. The distribution and use of devices is under the district’s control as long as the needs described in student’s IEP are being met. If devices are purchased for a particular student using the student’s Medicaid funds or private insurance, then the device belongs to the student and is meant for the exclusive use of the student. Who is responsible for upkeep and maintenance of AT devices? According to the WAC 392-172A-01030, the school district is responsible for assuring that AT devices are repaired or replaced, provided that device directly assists a special education student as specified in the IEP. CHALLENGES THAT SHOULD EXPAND YOUR UNDERSTANDING OF WHAT IS POSSIBLE WITH PUBLIC AND PRIVATE FUNDING SOURCES FOR A.T.
Do not accept “no” for an answer. For each excuse given for not providing funds, develop a response. Know all possible federal and state programs that could help fund assistive technology devices and services for young children, school-aged children, adults, and elderly persons with disabilities. 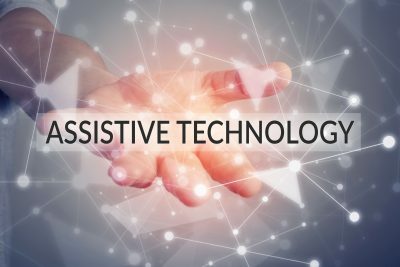 Know the definition of assistive technology and work cooperatively with funding sources to explore the parameters of their working definition for AT services and devices. Identify the administrator responsible for technology service and funding determinations for federal programs such as early intervention, special education, vocational rehabilitation, maternal and child health, developmental disabilities, Medicaid, and independent living. Each state agency should select an individual to be responsible for clarifying reimbursement policy concerning AT and proving multiple approaches to insuring that agency staff at a local and regional level are knowledgeable and informed about the process. Different funding streams have distinct orientations that will require wording the justification for the same device or service in different ways. Obtain copies of the basic intake form and learn about the justification process for AT. Know and become an expert on the funding process. Many funding streams require application and authorization before acquisition can be made. Other funding sources work on a reimbursement basis. Keep informed of changes in the process, the scope of coverage, and timelines, and always be knowledgeable about an appeals process. These challenges are excerpted form the “Funding for Assistive Technology: A User-Friendly Workbook”, RESNA TA Project, 1990. If an AT device has recently been prescribed for you, your child, a friend, student, or individual, your first question probably contained concerns about funding. The following information will help you address those concerns. Funding is available for people who need AT. There are many different funding sources, which may be explored. Vocational Rehabilitation Programs: Each state has a department of rehabilitation services under which falls the vocational rehabilitation department. Because this is a state-run program, the eligibility requirements vary from state to state. In order to investigate this resource, call your local vocational rehabilitation office, which should be listed in the white pages of the phone book under your state’s name. Vocational Rehabilitation Programs will often fund a communication device if communication is the main obstacle to employment for the individual. Employment is quickly becoming a realistic goal for many people who use augmentative communication devices. Trust Funds are sums of money set aside to be used for pre-designated purposes. There are trust funds available for people with disabilities. To learn about trust funds, call local financial institutions (banks, trust companies, savings and loans, etc.) to determine whether there are such funds available in the individual’s area. Many banks have a trust officer who manages these funds. Another source of information about trust funds is the Foundation Directory, which lists trust funds and foundations and is organized by state and city. The directory should be available at any large library. It is best to approach local foundations first since larger (national) foundations such as the Ford Foundation are typically inundated with requests for funding, while local funds often sit untouched for years because people are not aware of them. A tax write-off for charitable contributions. Positive local exposure (if the individual will agree to publicity). This approach may be particularly advantageous if a company needs to boost its public image. Private/Public Fund Raisers: Families often have affiliations with groups, which may assist in the purchase of assistive devices by sponsoring private or public fundraising activities. Church members, co-workers, and members of other organizations (like labor unions) have successfully raised funds to assist families in purchasing needed equipment by conducting raffles, bake sales, dinners, and a host of other creative methods designed to raise money. Nonprofit Civic Organizations: Local civic organizations, such as the Kiwanis, Rotary, Variety, and Lions Club have often contributed to the purchase of equipment. They commonly offer to match contributions from other groups, so it is best to request less than the full amount. Wish makers: There are some individuals and organizations, which “grant wishes” to people who have specific needs. Your local UCP affiliate may have more information. The Sunshine Foundation is an organization, which grants wishes to children with chronic disabilities. There is a limit of one wish per child in his or her lifetime. An application must be completed, and there is a maximum amount, which they will fund. Families should initiate contact with the headquarters at 4010 Levick St., Philadelphia, PA. 19135. United Cerebral Palsy, Easter Seal Society, etc. These service organizations typically provide funding that benefits many people at a time. There have been some cases, however, in which they have contributed to purchases for individual needs. Since the school may require that the device remain in the building at all times, it may be available to the student only during school hours, which would defeat the purpose of 24-hour communication, unless listed on the IEP. If the child should move out of the school district, the device would typically remain with the purchasing district. A young adult leaving the school system must also leave the equipment and begin to seek funding for a device of his or her own. This organization partners with businesses to provide many products and services, including assistive technology, to recipients in need. Provides computerized searches for assistive devices, products and equipment. Explanations of and sources for specific assistive technology available on their main website. The Alliance is a nationwide network of assistive technology resource centers, individuals, organizations and vendors. Provides information and support on accessing and using assistive technology. HEATH resource papers, fact sheets, guides, and directories focus on secondary education. Information concerning adaptive equipment and assistive technology. Provides information on local reuse centers throughout the country. Provides access to resources for employment, advocacy, benefits and financial assistance, education, technology, and more. The Assistive Technology Fund provides funds to cover fifty percent of the retail price of adaptive devices or software. Self-insured employer benefits / Medicaid. Intermediate care facilities for individuals with mental retardation and other developmental disabilities. Early periodic screening, diagnosis and treatment programs (EPSDT), Medicare – social security benefits. Special appropriations from state legislature. Please note: If you are pursuing funding through a source other than a medical payment plan, you may need to use a different format than the one which follows. Prescription or letter of medical necessity from the physician (s). Evaluation or letter of medical necessity from the speech language pathologist. Insurance claim form, or policy information and company address (Medicaid recipients may contact the funding coordinator regarding necessary forms for each state of other insurance coverage). Communication prosthesis payment review summary completed by the physician and speech language pathologist. Letters of medical necessity from the occupational therapist, physical therapist, parents. Individual’s information, name, address, phone number, date of birth. Itemized list of equipment with descriptive literature. Letters of medical necessity and/or recent progress reports or evaluations from other medical professionals, who are working with the individual, will further support the case. Primarily, an assistive technology device is medically necessary, because it serves as a prosthetic device. Prosthesis replaces a missing body part or replaces the function of a malfunctioning body part. NOTE: Please study the policy manual for medical coverage before using words like “prosthesis.” Some policies may specifically exclude prosthetic devices. An assistive technology device is also medically necessary because people who are non-speaking must be able to communicate medical needs to their physicians and to their primary care givers. Letters of justification should include details of particular medical situations in which the individuals medical needs were not attended to within reasonable amounts of time due to communication barriers between the individual and primary care givers (physician, parents, nurses, etc.). NOTE: This particular person was using a communication notebook prior to obtaining his touch talker. A mother recently shared the following example of a need to communicate medical concerns. Their daughter had been ill and was given a prescription. The mother gave the pills to her four times a day without fail. After several days of taking the medication, the child broke out in a rash, which covered her entire body. She was allergic to the medication. It turned out that the child had felt nauseous each time she had been given the medication, but she could not communicate her symptoms to her parents. The parents were not at all aware of the problem until the rash appeared several days after the medication had been given. For (name the area of concern). Degree of difficulty physician has (name area of concern) with individual. Prescribed assistive technology device or prosthesis. Why appropriate for medical purposes? Individual’s effectiveness with the device should be included. How long has the individual been in therapy? Methods used to encourage communication. Individual’s present means of communication. Why it is inappropriate or insufficient for medical purposes? Alternatives to present means of communication, which have been investigated. Why they are not appropriate? Why more appropriate than above? Detailed description of individual’s trial period with prescribed device, if applicable. How does lack of (area of concern) hinder therapy? Document (if applicable) individual’s inability to use (area of concern). How would the enhancement of (area of concern) allow the individual to receive maximum benefit from therapy? If the therapist has seen the individual use the device, comments about the individual’s effective use of the device should be included. Prognosis for (area of concern). Describe specific medical situation in which your child’s medical needs were not attended to within reasonable amounts of time due to (area of concern) barriers between the individual and primary care givers (parent, physician, nurses, etc.). Length of time you have provided services. How would the enhancement of (area of concern) allow this individual to receive more timely medical care? If you have seen the individual using the above device, comments regarding its effectiveness should be included. Provide comments regarding the individual’s ability to physically access the device. Assistive technology provides exciting new opportunities for participation in educational programs by students with disabilities. These opportunities challenge educational leaders to develop appropriate training and support services for professional staff who evaluate and teach students with disabilities and for parents who support their children’s development both at home and at school. For school districts to deliver AT service effectively, they need to develop policies and procedures to govern the programs and to organize systems for purchasing and keeping an inventory of equipment and for training staff. Developing some mechanism for trouble-shooting when problems arise is particularly important. With appropriate structure and organization, an AT program has the potential for rewards for both students and staff. With the support that technology provides, students can make greater progress toward normalization and independence as adults in the community, and staff members can have a greater sense of accomplishment as they see their students developing into productive citizens.